What happens in the Saudi royal family doesn't necessarily stay within the royal family. Three stories in major U.S. news outlets — The New York Times, Reuters and The Wall Street Journal — emerged in quick succession over the past 24 hours, all focused on the politics of the Saudi Arabian royal family. While full of sensational details, each report relied on Saudi sources that tell roughly the same story of what transpired one dramatic night in June when King Salman deposed nephew Mohammed bin Nayef, placing son Mohammed bin Salman next in line to the throne. The factual similarities across the reports suggest they are true, and the timing of their release indicates that some royal family members and government leaders in Riyadh intended for the details to be widely known. It is highly unusual for the Saudi royal family to air dirty laundry — let alone in such a coordinated fashion. The quick succession of richly detailed play-by-play reports of the dethroning of the crown prince underlines the strength of new Crown Prince bin Salman. And there is some trepidation in Riyadh over his impending rule. But thanks to the latest reports, we can now see a bit further down the path facing the new crown prince, who is likely to become king much sooner than anyone thought. Prime Minister Narendra Modi’s recent visit to the U.S. is likely to deepen bilateral ties in multiple strategic areas. Among them, science and technology, a key driver for innovation and job creation in both countries, needs to take centre stage. The shared values and interests of both the countries provide the essential underpinning for future collaboration. Besides, India has the advantage of enjoying bipartisan support in the U.S. in this regard. Over the years, knowledge and technology have become central to most of the bilateral agreements and strategic dialogues between the two countries. Bilateral agreements such as the Partnership to Advance Clean Energy and joint participation in mega projects in the areas of fundamental science such as the High Intensity Superconducting Proton Accelerator, the Thirty Meter Telescope, the Laser Interferometer Gravitational Observatory and the NASA-ISRO Synthetic Aperture Radar Mission will have a far-reaching impact. Going forward, we can reap higher pay-offs if collaborative engagements are focused on sector-agnostic technologies, such as information technology, nanotechnology, and gene-editing technology. This will have positive impact on all spheres of collaboration such as education, economy and trade, defence and homeland security, energy and climate, health, agriculture and space. One is a veteran journalist who has watched the India-China engagement for six decades, and disagrees strongly with the official Indian narrative. The other was India’s Ambassador to China until 2016, and has been one of New Delhi’s key negotiators with Beijing. The Indian Express put the same set of questions to both. Neville Maxwell: The retired Australian-British journalist covered the 1962 war for The Times. In March 2014, he leaked a part of the Henderson Brooks-Bhagat Report, a classified 1963 Defence Ministry report examining India’s military performance in the war. Maxwell is the author of India’s China War, which is seen as containing inferences based on Chinese statements and perceptions. Historian Srinath Raghavan said the book was a “seminal revisionist account” which “curiously interpreted Delhi’s actions almost as Beijing would have viewed it”. Ashok Kantha: The former career diplomat retired as India’s Ambassador to China in January 2016. Besides three assignments in China, he served as Joint Secretary (East Asia) and Director (China) at the Ministry of External Affairs for periods of four years each, during which he was closely involved in the formulation and implementation of India’s foreign policy with respect to China. He is currently Director of the Delhi-based Institute of Chinese Studies, and a Distinguished Fellow at Vivekananda International Foundation, New Delhi. As I travel up from eastern India’s Bagdogra airport to Gangtok and then to Indian army’s Nathang base near the fraught Doklam area, I count at least six military convoys heading in the direction of Sikkim’s border with China. At Nathang, a few kilometres from Doklam in the now-famous “tri-junction” of Tibet, Bhutan’s Doklam plateau and Sikkim’s Chumbi valley, the theatre of the ongoing stand-off between Indian and Chinese forces , the build-up is even more palpable, even though vehicles carrying artillery pieces and light tanks slither through the night to avoid public attention. New bunkers are being built, the ground is being mined to pre-empt Chinese attack, machine-gun nests are being placed at strategic points, and soldiers are performing battle drills at least twice a day. But restraint is still the buzzword. “We are under clear orders not to exacerbate the tensions, so we won’t provoke a scuffle, certainly not a firefight, but we are ready for a suitable response if the Chinese get aggressive,” says a young captain of India’s famous “Black Cats” division at Nathang. The cheerful-looking captain, in his late 20s, can’t be named as he is not authorised to speak to the media. The media isn’t even supposed to be here. The Indian Army isn’t embedding reporters as yet. Officials say that the government is aware that the no holds barred policy is likely to elicit desperate responses from the terror groups, but that the option of ‘going slow’ does not arise. With the security forces asked to adopt a policy of eliminating terrorism, Jammu & Kashmir is witnessing a steep increase in the number of terrorists eliminated in the last three years. In the three-year-period between 2011 and 2013, when the UPA government was in power at the Centre, 239 terrorists were killed in J&K by the security forces. However, between 2014 and July 2017, 463 of them have been killed, with the maximum number of 150 being eliminated in 2016. This year the number has already crossed 100, and is expected to rise even further. Officials attribute such success to the no holds barred policy adopted by the NDA government at the Centre. They say that the policy that the government has adopted in the last three years will continue until there is a permanent impact on the ground. NEW DELHI: NIA, during its analysis of social media activity of "habitual" Kashmiri stone-pelters as part of its J&K terror funding probe, found at least 28 WhatsApp groups whose creators, administrators and some members are based in Pakistanand include identified cadres of terror outfit Jamaat-ud-Dawah. Sources in NIA on Tuesday told TOI that the WhatsApp groups together have 5,000 members, of which majority are local Kashmiris but a significant number are linked to Pakistani mobile numbers. Many of these groups have either been created by a Pakistani or have Pakistanis as their administrators. "We have identified Pakistani numbers in the WhatsApp groups. Some of these numbers also show up in JuD posters and publicity material, confirming JuD link to the J&K youth who regularly pelt stones to disrupt ongoing anti-terror operations, allegedly on payment arranged by Hurriyat separatists," said an investigator. The origin of the funds is believed to be in Pakistan, though NIA says it can establish more specific details after questioning the seven arrested Hurriyat leaders. Real Estate Growth Is At The Bottom Of Pyramid; But Have States Got The Message? It is the states which need to now act to benefit from this huge demand by making land availability and building permissions easier for builders. Without states putting their shoulders to the wheel, this initiative – which will create both growth and jobs by the million – will deliver sub-optimal results. In India’s moribund real estate market, nirvana lies at the bottom of the pyramid. This, at least, is the clear message coming from the National Housing Bank’s (NHB’s) latest data on loan growth, where properties needing loans above Rs 25 lakh actually saw a drop in demand by 1 per cent last year. Every loan category below that range saw big growth, with the largest growth being reported in loans under Rs 2 lakh – which can only be for rural areas or semi-urban ones. This suggests that Narendra Modi’s Housing for All by 2022 is taking off. The sub-Rs 2 lakh category saw 48 per cent growth in 2016-17 over the previous year, a Business Standard report shows. In fact, loan demand growth is tapers down based on the size of the loan required, with loans upto Rs 5 lakh growing 44 per cent, upto Rs 10 lakh 43 per cent, etc. Beyond Rs 10 lakh, the rate falls sharply to 33 per cent, again emphasising that there is money to be made at the bottom of the pyramid more than the top. Margins may be low, but volumes can be high in segments below Rs 25 lakh, and especially below Rs 10 lakh. One hopes strategy in future is decided by the head rather than a compromising heart. Any weakening of our resolve once a degree of normality is restored will be fatal. This time we cannot be foolish like we were in the past. The arrest of seven separatist leaders by the National Investigation Agency (NIA)for alleged terror-funding links, and the Indian Army’s increasing success in killing terrorists, marks a turning point for the better in Jammu & Kashmir’s (J&K) long battle against insurgency, which has obtained some degree of local support. One can only hope that the NIA has got the right kind of evidence to nail the accused, and they don’t emerge from the courts flashing V-signs in a botched-up investigation. India has always been a victim of its own soft image. Every time the forces get the upper hand, voices will grow within the Left and so-called intelligentsia for a dialogue with the separatists, pointing out that J&K is a “political problem” and that there are genuine grievances and serious “alienation”. The rabid Left will also start talking of excesses by the armed forces. Reliance has essentially bet the farm on its telecom foray, having invested nearly Rs 200,000 crore in it, and Mukesh Ambani proposes to take this investment all the way to Rs 250,000 crore. Failure is not an option for him. Or for those who are lending him money. The announcement by Mukesh Ambani last week, that Reliance Jio will be making a Rs 20,000 crore rights issue of optionally convertible preference shares at Rs 50 apiece (Rs 10 face value plus Rs 40 premium) is straight out of the Dhirubhai Ambani playbook. Reliance Industries Ltd, the parent company, owns almost the whole of Jio’s shares, and thus the rights issue will essentially be subscribed by Reliance itself. What this issue, like an earlier one, will do is expand the total number of shares outstanding in Jio, while also setting a kind of floor price below which a future public issue of Jio shares will not be sold. Dhirubhai Ambani had three simple elements in his strategy. First, raise large amounts of debt for projects. Next, use the share value of Reliance to convert this debt at huge equity premia, thus lowering the cost of debt. And when more money needs to be raised, he floated new companies to raise money again, and repeated the first two steps. At least 26 people were killed and over 50 injured in a suicide attack near a software technology park in Lahore at around 4 pm local time on Monday. This is the fourth blast targeting Punjab’s capital in the past six months, after a protest and a market in the cantonment area were targeted in February this year, while a census team was attacked in April. While the Charing Cross attack was claimed by the Pakistani Taliban faction Jamaat-ul-Ahrar (JA), the one in the DHA market wasn’t claimed by any group and has been touted as a “cylinder blast” by government officials. The April blast was claimed by Tehreek-i-Taliban Pakistan (TTP), which has also claimed responsibility for Monday’s bombing. 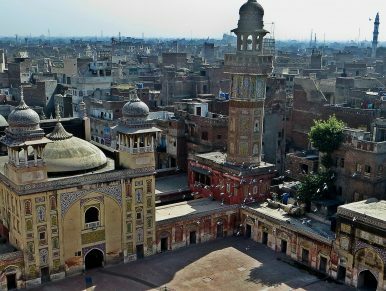 The Pakistani Taliban have intermittently targeted Lahore over the past seven years after a flurry of attacks rocked the city between 2007 and 2010. The attacks are part of the backlash against the state following action against the notorious Lal Masjid, which still houses the Islamic State-sympathizing Abdul Aziz, who has issued many direct suicide bombing threats to the state authorities. With the Pakistan Muslim League-Nawaz (PML-N) ruling Punjab for the past decade, every time the Pakistani Taliban have wanted to strike the political nerve-center of the state, with the province the most heavily represented in the Army as well, a bulls-eye has been drawn over Lahore. Russia's Foreign Ministry declined to comment but has previously called claims they are arming the Taliban "utterly false"
Kabul, Afghanistan (CNN)The Taliban have received improved weaponry in Afghanistan that appears to have been supplied by the Russian government, according to exclusive videos obtained by CNN, adding weight to accusations by Afghan and American officials that Moscow is arming their one-time foe in the war-torn country. US generals first suggested they were concerned the Russian government was seeking to arm the Afghan insurgents back in April, but images from the battlefield here corroborating these claims have been hard to come by. These two videos show sniper rifles, Kalashnikov variants and heavy machine guns that weapons experts say are stripped of any means of identifying their origin. Two separate sets of Taliban, one in the north and another in the west, claim to be in possession of the weapons, which they say were originally supplied by Russian government sources. One splinter group of Taliban near Herat say they obtained the guns after defeating a mainstream rival group of Taliban. Another group say they got the weapons for free across the border with Tajikistan and that they were provided by "the Russians." On May 31, 2017, a massive truck bomb killed up to 150 and severely wounded hundreds more in a busy square near the German embassy in central Kabul. The number of suicide attacks in Afghanistan has been on the rise in recent years, and this was the deadliest occasion since 2001. The trauma was all the worse because the insurgents struck right in the heart of the capital. Several days later, bereaved relatives and civil society groups converged near the blast site to voice their grief and anger. 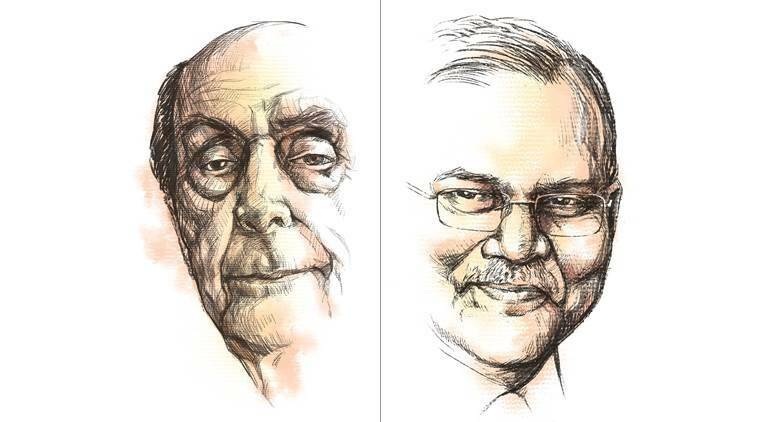 Joining in were opposition politicians, some of whom saw an opportunity to exploit public outrage, as well as activists of varying political affiliations, mobilized by social media. As the crowd tried to press on to the presidential palace, security forces opened fire, killing seven. The next day, at a funeral for one of those killed, suicide bombers killed another seven and injured more than 100. Kabul is still grieving through the summer heat, and citizens are on edge awaiting the next truck bomb or insurgent strike. Although such attacks pose a serious danger, however, they are only one of many threats facing Afghanistan. Feuding politicians stoking ethnic rivalries pose perhaps an even graver menace. Any Kabul resident old enough to remember the years before the Taliban, when Kabul was divided between ethnically based factions that shelled each other’s neighborhoods and carried out atrocities against rival ethnic groups, has reason to be afraid when politicians play identity politics. Although a return to earlier levels of conflict is unlikely for now, various politicians still command the loyalty of some ethnic brethren in the security forces. These loyalties have already caused friction and could eventually bring about dangerous fragmentation within the security forces. Indian Army and China’s PLA (People’s Liberation Army) have been locked in a stand off mode on the Dolam plateau in Doklam area. While Bejing resorted to sending fierce warnings, New Delhi has maintained that diplomatic dialogue is the only way to resolve the issue. China claimed that it is their own territory. India strongly refuted that by saying Bhutan and the world support New Delhi’s bold move. As the tension escalates, take a look at what this Dolam plateau is and why it has become a bone of contention between these countries. 1. The standoff is at Dolam plateau, which is in the Doklam area as referred to in the statements of the Ministry of External Affairs and the Embassy of Bhutan in New Delhi. However, the Dolam plateau is different from Doklam plateau. The Doklam plateau lies around 30 km to the north east of Dolam plateau. Doklam is called Donglang by China, according to Indian Express report. 2. The trijunction is the point where the borders of India (Sikkim), Bhutan and China (Tibet) meet. The trijunction is disputed — India claims it as Batang La, while China claims it is around 6.5 km to the south, at Gymochen. On Monday, U.S. officials said that two Chinese People’s Liberation Army-Air Force (PLAAF) Chengdu J-10 fighters conducted an intercept of a U.S. Navy EP-3 Aries surveillance aircraft in international airspace over the East China Sea over the weekend. One of the two Chinese jets came within 300 feet of the EP-3, U.S. officials said, according to Reuters. The proximity of one of the Chinese fighters forced the EP-3 to change course in mid-air. The incident occurred about 80 nautical miles off China’s mainland. In 2013, China declared an air defense identification zone (ADIZ) over a large portion of the East China Sea. The incident is the third of its kind this year. In May, two PLAAF Su-30 fighters intercepted a U.S. Air Force Boeing WC-135 Constant Phoenix aircraft over the East China Sea. 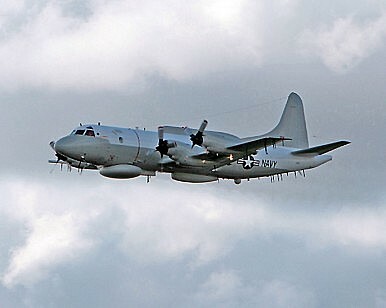 In February, days before U.S. President Donald J. Trump spoke to Chinese President Xi Jinping for the first time in his official capacity as president, a U.S. Navy P-3C Orion surveillance aircraft and a Chinese military surveillance aircraft came within 1,000 feet of each other over the skies of the South China Sea, near Scarborough Shoal. 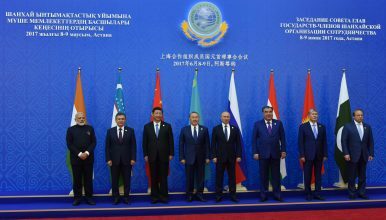 With India and Pakistan as newly installed members of the Shanghai Cooperation Organization, or SCO, China is likely to face an increasing amount of divisiveness within a regional economic and security organization accustomed to extreme comity and cooperative discussions. India’s entry could especially frustrate Beijing because of rising geopolitical competition between the Asian giants and different approaches to counterterrorism. BEIJING: A day before NSA Ajit Doval's visit to Beijing, China's foreign minister Wang Yi accused India of intrusion in Doklam, dimming prospects of an early resolution of the border stand-off. "The rights and wrongs are very clear," Wang said, claiming that senior Indian officials have "openly stated that Chinese troops did not enter Indian territory". "In other words, the Indian side admitted to entering Chinese territory," Wang further said in Bangkok on Monday. These were seen in New Delhi as deliberate misrepresentation of facts on the ground and a clear indication that little should be expected from the talks on July 27-28. The bellicosity of the Chinese government was matched fully by hard-line publication 'Global Times' which argued that Indian media was being naive in assuming that the NSA's visit to Beijing will lead to a settlement. Cooperation with Russia is becoming a central part of the Trump administration’s counter-Islamic State strategy in Syria, with U.S. military planners counting on Moscow to try to prevent Syrian government forces and their allies on the ground from interfering in coalition-backed operations against the militants. Syria’s once-separate conflicts have moved into close proximity on the battlefield. Part of the plan essentially carves up Syria into no-go zones for each of the players — President Bashar al-Assad’s fight, with Russian and Iranian help, against rebels seeking to overthrow him, and the U.S.-led coalition’s war to destroy the Islamic State. Some lawmakers and White House officials have expressed concern that the strategy is shortsighted, gives the long-term advantage in Syria to Russia, Iran and Assad, and ultimately leaves the door open for a vanquished Islamic State to reestablish itself. Critics also say that neither Russia nor Iran can be trusted to adhere to any deal, and that the result will be a continuation of the civil war whose negotiated end the administration has also set as a goal. KIEV/SEVASTOPOL, Crimea (Reuters) - The career of Sergei Yeliseyev helps to explain why Ukraine's armed forces gave up Crimea almost without a fight - and why NATO now says it is alert to Russian attempts to undermine military loyalty in its eastern European members. His rise to become number two in the Ukrainian navy long before Russia seized Crimea illustrates the divided loyalties that some personnel in countries that once belonged to the Soviet Union might still face. Yeliseyev's roots were in Russia but he ended up serving Ukraine, a different ex-Soviet republic, only to defect when put to the test. NATO military planners now believe Moscow regards people with similarly ambiguous personal links as potentially valuable, should a new confrontation break out with the West. In 2014, Yeliseyev was first deputy commander of the Ukrainian fleet, then largely based in Crimea, when Russian soldiers in unmarked uniforms took control of Kiev's ships and military bases on the peninsula. "If you know your enemies and know yourself, you will not be imperiled in a hundred battles; if you do not know your enemies but do know yourself, you will win one and lose one; if you do not know your enemies nor yourself, you will be imperiled in every single battle." While conducting decisive action at the Battalion/Brigade level, Commanders and their staffs must thoroughly examine the role of the intelligence officer. Is the S2 a conduit for information from higher echelons or is he the lead proponent for attaining knowledge - not just data, or information, but knowledge - of the enemy? Most would like to argue the latter, but in order to truly know the enemy, our current processes and behaviors must change. Army STT (left) and SMART-T (right) satellite terminals during an exercise in South Korea. Consider SMART-T, a militarized satellite terminal that can withstand not only jamming but electromagnetic pulse from nuclear bombs. It’s exactly the kind of communications gear you’d want for a war with Russia, with its electronic warfare battalions and “escalate to deescalate” nuclear doctrine. But where do you get it? The US wants to stay in front of China with hypersonic weapons able to travel at five-times the speed of sound and destroy targets with a "kinetic energy" warhead. The Air Force and Australia fired an experimental hypersonic weapon into the Australian skies -- traveling at speeds faster than one-mile per second, a Pentagon report said. "This was just the latest in a series of tests of the HiFIRE 4, which was also tested in Hawaii and Norway in 2012. While the designed speed of the hypersonic missile is faster than that of sound, its advantage lies in its enhanced maneuverability and smooth flight path, which is much harder to track than that of traditional missiles," the Pentagon report said. This test is all part of an aggressive Air Force effort to accelerate hypersonic weapons development, following findings from a recent service report identifying Russian and Chinese ongoing hypersonic weapons testing. The report said that China and Russia are already flight testing hypersonic weapons, and several other countries have shown interest in pursuing many of the underlying technologies for hypersonic flight. Mini-formations are extremely useful because they have two things that NATO lacks: permanent forces and a small number of members. Last month Sweden and Finland—the two neighbors and long-time proponents of neutrality—joined a military formation. On June 30, their defense ministers and UK defense secretary Michael Fallon signed the accession of Sweden and Finland to the Joint Expeditionary Force, a British-led outfit that also includes Denmark, Estonia, Latvia, Lithuania, the Netherlands and Norway. The JEF, as it’s known, is one of several military mini-alliances now operating in Europe. And that’s good news for NATO. The JEF is a high-readiness force tasked with quickly responding to emergencies around the world. It’s also a very recent multinational formation. It was launched only two years ago and JEF’s members are still adding to its capabilities. Also, it is scheduled to become fully operational next year, which means that it could deploy ten thousand troops to military or humanitarian crises. Britain uses its expeditionary troops for another joint force, the Combined Joint Expeditionary Force, which it operates with France. The CJEF, part of the so-called Lancaster House military cooperation treaty signed by the two countries seven years ago, likewise deploys troops to crises; a recent exerciseinvolved more than five thousand troops. While Centre has argued in favour of privacy in the WhatsApp policy case, it has maintained that right to privacy is not a fundamental right but a common law right vis-a-vis the Aadhaar case. The Supreme Court will hear the Centre's argument on the right to privacy debate in the Aadhaar case on Tuesday. In the Aadhaar case, the Centre has maintained that right to privacy is not a fundamental right but a common law right, and only unauthorised intrusion into one's privacy is protected under Article 21 of the Constitution. In a hearing on the WhatsApp privacy case on Friday, the Centre told the Supreme Court that data belonging to an individual is an extension of one's personality that resides in Article 21 of the Constitution. The Centre told the Supreme Court that data belonging to an individual was intimate and an extension of his or her personality. ASPEN, Colo. (Reuters) - National Security Agency Director Mike Rogers on Saturday rebuffed the prospect for a U.S.-Russia cyber unit, a proposal which has been greeted with incredulity by several senior U.S. lawmakers and which President Donald Trump himself appeared to back down from after initially indicating interest. U.S. intelligence agencies have assessed that Russia meddled in the 2016 U.S. presidential election by hacking Democrats’ emails and distributing online propaganda to help Trump win the election over Democratic rival Hillary Clinton. Moscow has denied any interference, and Trump has said that his campaign did not collude with Russia. A Russian presidential envoy said this week that Moscow and Washington were in talks to create a joint cyber security working group. The Army has set up a new Cyber Research and Analytics Laboratory to keep pace with rapid technological change in the field and quickly support operational cyber-warrior with the latest upgrades, techniques and threats, service officials said. The new lab, engineered as a subset of the larger Army Research Lab, is specifically geared toward supporting ongoing combat operations, given the pace or trajectory of evolving cyber tactics. Results from near term analysis and research will be quickly sent to Army Combatant Commanders, and operational cyber-warriors send back new anomalies, tactics and attack strategies associated with enemy cyber attacks. “Change within cyber is constant. Things we are working on this year are not things we will be working on next year. 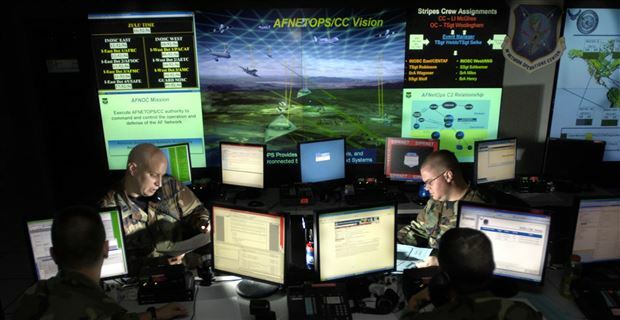 We need a laboratory that is rapid so that if there is emerging space we can address it an move on, providing input to Army Cyber,” Curtis Arnold, Chief, Sustaining Base, Network Assurance Branch, Army Research Lab, told Scout Warrior in an interview. “A big component of the laboratory is that with an operational focus we are narrowing response time. Response time is of critical operational relevance, as Commanders now conducting cyberwar against ISIS have talked about the need to rapidly change tactics as a way to maximize effect. Operational Inherent Resolve officials have explained that cyberattacks and electronic warfare techniques have made it very difficult for ISIS units to communicate with one another across large distances. Furthermore, US cyber warriors have also succeeded in disrupting or destroying ISIS social media efforts and some recruiting initiatives. As a result, an operational link to cutting-edge cyberwarfare techniques is expected to be of tremendous value to global cyber commanders. In light of Michael Sulmeyer’s excellent recent piece on splitting NSA and CYBERCOM, which ran at War on the Rocks last week, I want to pull together some of the key legal and policy developments of the past year in a single narrative. My aim is to put them in context with each other in a way that will provide useful background for those new to this issue, while also putting a spotlight on the deconfliction-of-equities issue that the split proposal raises. My apologies that this is a longer-than-normal post (I did not have time to be shorter!). Over 63 million new unique pieces of malware  were detected in 2015 alone. All predations show that cyber-threats will be omnipresence with the unprecedented advancement in innovative technologies coupled with artificial intelligence (AI) along with billions/trillions of interconnected internet-of-things (IOTs) where each human body will also be connected using nano-biosensors including augmented humans. The net impact is the surprising rise of super-intelligent information technologies fueled with robotics, smart munitions, ubiquitous sensing, and extreme networking, along with the potentially massive impact of cyber warfare . Cyber-threats can be launched even by a couple of hackers or rough-individuals equipped with low-cost powerful technologies powered with artificial intelligence capabilities, not to speak of dedicated terror groups, enemy nation-states, and powerful adversaries. All these vast technological changes are taking place in the background of dislocation of population with the rise of sea water level coupled with doubling of human population numbers with depleted earth’s natural resources amid economic uncertainties, not even considering the impact of spreading of epidemics. Altogether it will be creating a huge human cultural change shifting from human and cyber-network as two distinct entities to a single human cyber-network, that is, human’s life itself becoming a cyber-network connected with each human body of the entire whole world. The complete impact of human cultural change that is being caused at the advent of these revolutionary technologies is yet to be imagined. It is also a possibility that a single cyber-attack could cause unpredicted damages across a huge chunk of the connected cyber-network that might also include connected humans’ lives.